Here is some of my looks from the Haute Couture Fall/Winter 2017/2018 Week in Paris where I attended a selection of shows and presentations such as Rami Kadi, Alexis Mabille, Georges Hobeika, Tony Ward, Georges Chakra, Xuan Couture, Julien Fournié and Rami Al Ali. 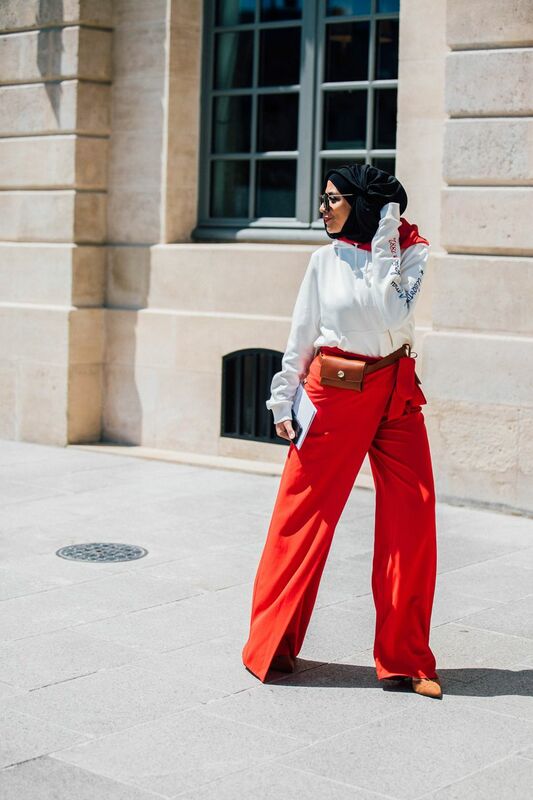 Starting with this red hit look that has been posted on the Street Style section of Vogue British, Vogue Germany, Vogue Arabia and WWD. I know right? This was a big moment for me. 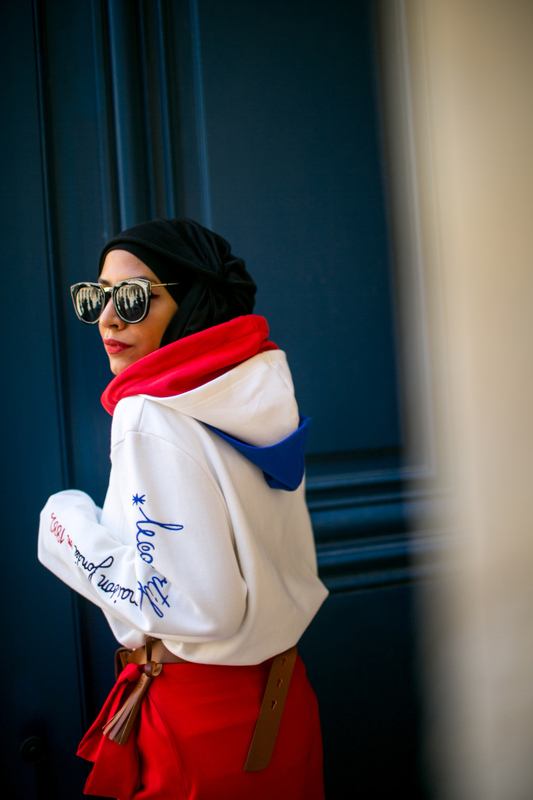 Seeing yourself under the Vogue word is like a red and white billboard telling you "you've got approved" and even if you trust your style and your message, it definitely feels (soooo) good and motivates you for the next steps. 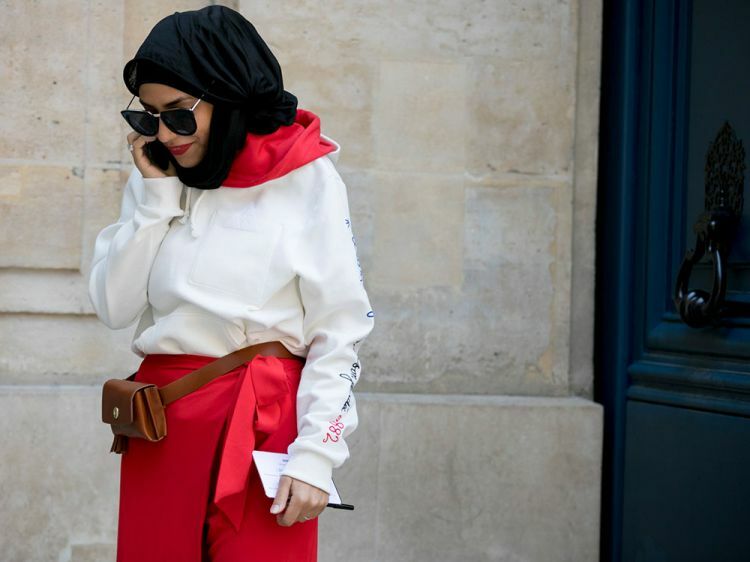 I'm wearing the Le Coq Sportif by Jean-Charles de Castelbajac hoodie, a Cortefiel Palazzo and a Mint&Berry fanny bag. Next look is a jumpsuit from Poca & Poca. I added the Mint&Berry bag which worked like a belt and was a perfect match to this voluminous and unique beautiful white piece. The following skirt is from the Lausanne based brand By Adori paired with a top from Zara. Not only the skirt gave me a princess feeling, it was comfortable and poetic in the same time. Final look is a beautiful dress and crepe long coat from Caroline Defage who never misses to impress with chic pieces. 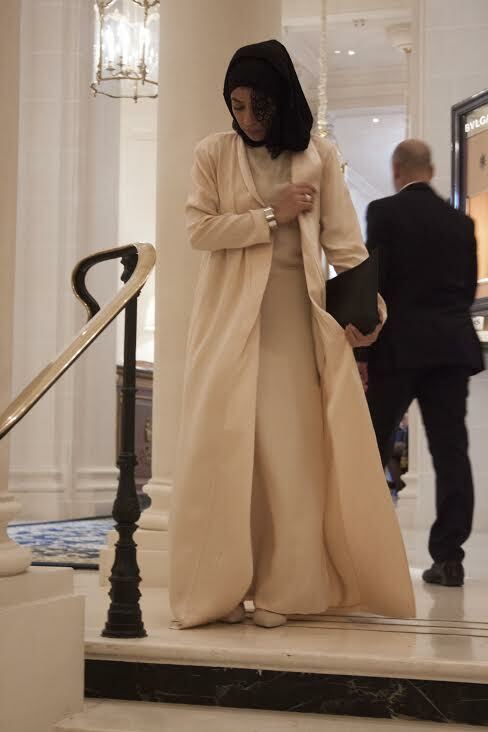 A Givenchy clutch and lace headpiece later and I was ready to Rami Al Ali presentation at the Ritz.